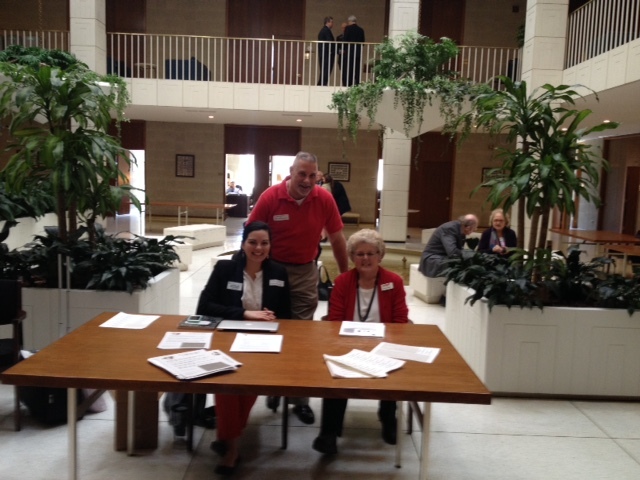 This past week, aging advocates from across the state came to the NC General Assembly to tell legislators that Seniors and Those With Disabilities Matter! Over 100 participants went around and talked with their legislators about maintaining Medicaid eligibility, putting money back into the Home and Community Care Block Grant that was cut in the last budget cycle, increase funding for Adult Protective Services, and more. Things have been picking up the past two weeks as we move closer to the bill filing deadline. We expect quite a few bills to be filed over the coming weeks. Not a lot of action has been happening surrounding bills that impact our profession at this time. Appropriation committees have been focusing on the outlook in our state and haven’t taken action on bills. In fact, the focus for Health and Human Services has been to look at services impacting those 0-5 years of age. We will keep you posted as bills move. 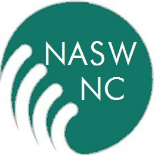 As always, if you have questions or concerns about any bills, feel free to contact us at the NASW-NC office! HB 193 Prohibit Discriminatory Profiling: This bill would further prohibit discrimination by law enforcement and authorize a citizens review board to investigate allegations of certain police misconduct. HB 239 Restore Early Voting Days: Restores the week of early voting cut in the 2013 Voter Information Verification Act effective 2016. HB 240 Allow NC College ID To Meet Voter ID Requirements: Allows private and public NC colleges and universities IDs issued to students as a suitable form of ID required to vote. HB 250/SB 296 Health Corner Store Initiative: Provides $1 million in state funds to help small neighborhood stores buy equipment to sell fresh produce and trains employees on how to best handle this produce. This bill would help eliminate food deserts in our state. HB 269/SB 337 Caregiver Relief Act: This bill would amend Labor Laws in our state to allow caregivers to use sick leave under the Family Medical Leave Act when helping family members such as grandparents, siblings, grandchild, stepparent, parent-in-law, etc. HB 270 Healthy Families & Workplaces/Paid Sick Days: This bill would require all employers to provide sick leave for employees to use these days to address personal health needs and those of their families. HB 297 DHHS Child Support Recommendations: This bill makes changes to the administration of child support services to make the process of collecting payments and paying families more efficient. SB 206 Appropriations Act of 2015: This is a placeholder bill for the Senate budget. SB 207/HB 167 Aggravating Factor/Violent Act Before Minor: This bill would make a violent act seen by a minor, age 16 and younger, an aggravating factor. SB 231 Study Unified Public Health System: This bill requires HHS to study the concept of a unified public health system. SB 235 Establish State Public Health Authority: This bill would create regional public health authorities and reorganize the Department of Public Health. SB 297 Prenatal Narcotic Drug Use/Criminal Offense: Would make using drugs during pregnancy an assault on the unborn child. It would apply the charge to women whose children are “born addicted to or harmed by the narcotic drug and the addiction or harm is a result of her illegal use of a narcotic drug taken while pregnant.” There is an exception if a mother is enrolled in a treatment program and remained there throughout the pregnancy; even if the child was born addicted to or harmed by drugs. HB 317 Medical Marijuana For Terminally Ill Patients: This bill would allow patients with terminal or debilitating illness to lawfully use medical marijuana as prescribed by a licensed physician. The patient would have to be under the care of hospice. SB 346 Enact Stricter Immunization Requirements: This bill would remove the religious exemption currently in place for vaccinations prior to school attendance (including college). This bill aims to ensure the safety of the public by making state standards more in line with federal guidelines issued by the US Department of Health and Human Services, Centers for Disease Control and Prevention. SB 354 North Carolina Healthcare Jobs Initiative: In short, this bill would expand Medicaid in NC. SB 114/HB 120 Custodial Parent/Party Cooperate w/ Child Support: This bill requires the Division of Child Development and Early Education and the Division of Social Services to develop a plan requiring a custodial parent or other person with primary custody of a child receiving child care subsidy payments to cooperate with county child support services programs as a condition of receiving child care subsidy payments. The bill passed the Senate and will now head to the House. HB 119/SB 318 PED Recs/Publicly Funded Substance Abuse Services: This bill requires the N.C. Department of Health and Human Services to submit a 3 year business plan by April 1, 2016, to accommodate the transfer of Alcohol and Drug Abuse Treatment Centers (ADATC) by July 1, 2019. In the first year, the state centers would receive 75% of their projected financing, or $27.5 million, while the MCOs would get the other 25%, or $9.2 million. The groups would split the financing in 2016-17, the MCOs would get the $27.5 million in 2017-18 and then receive all the funding in 2018-19. The House version passed the Health Committee this week and was sent to Appropriations. HB134 Soliciting Prostitution/Immunity for Minors: This bill provides immunity to any minor suspected of or charged with soliciting as a prostitute. The bill passed the House and was sent to the Senate. The Senate referred the bill to Rules Committee. March 24th, Medicaid Expansion Lobby Day. Register Online. Meet at 8:30 at the Legislative Auditorium. Join the Facebook Event for updated information and a full schedule. March 25th, Social Work Advocacy Day! We are so excited to have 500 social workers participate! Learn more about the day and our priority areas on our website. Help Support Loretta Lynch for Attorney General of the United States! The Loretta Lynch confirmation to be the new Attorney General of the United States has been held hostage to the anti- abortion provision in the Human Trafficking bill which the Democrats strongly oppose. Ms. Lynch’s nomination has been help up for over four months. This is highly unacceptable in that she is the first African American women ever to be nominated for this high office. She is also extremely qualified for the position. We need your help! Loretta Lynch is more than qualified to be our next AG & demonstrates a steadfast commitment to justice. Today: Call your U.S. Senator – 1-866-338-5720! Make sure you give them your name and identify yourself as a constituent! We encourage you to confirm Ms. Lynch swiftly so that the Department can continue the important work of law enforcement as efficiently and effortlessly as possible. Her experience and understanding of the law will enable her to effectively enforce the rights of all Americans, including people with disabilities. This entry was posted on March 23, 2015 by naswnc in Advocacy and tagged adoption, Advocacy, Advocacy Update, Caregiver, macro practice, macro social work, NASW-NC, NC Social Workers, NCGA, NCPOL, Public Health.